Often, the best food can be found in the least appealing places, in terms of appearance. That would the be premise behind shows such as Triple-D's, but for me, they have strayed from their original focus (and besides, some of the places are actually not very good). So being in Hong Kong, it is almost a given one would find good eats at a dive because they exist everywhere and anywhere. 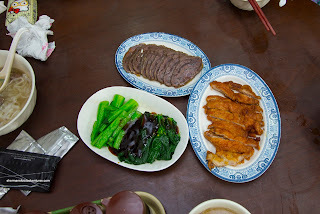 One place I had on my radar was Sister Wah right on the outskirts of Victoria Park. If one wasn't looking for the place, they would probably walk right past it. For a group of 11 that consisted of 4 kids, the small little restaurant was probably not the best choice, but the kiddies do love their Brisket Noodles. That we did order and it was good as advertised (well, they don't really advertise it, but you get the idea). We had both the lean version with wonton-type noodles and the fatty version with flat rice noodles (ho-fun). The lean was more beef-shank than brisket. Therefore, it was soft, gelatinous and tender. Chewy with an appealing elasticity and rebound, the wonton-type noodles were completely on point. We found the clear soup to be clean-tasting with the sweetness of daikon and hit of star anise. The fattier meat was definitely brisket and it had tender type of chewiness especially from the connective tissue. For me, I had to get some variety and ordered the Tripe Lo Mein (mixed dry noodles). It was lightly doused with broth so that the noodles remained moist and did not stick together. Exactly like the previous bowl, the noodles were texturally on point. I found the neatly sliced tripe to be also well-prepared being buttery with a slight bite. It was only mildly gamy and lightly seasoned from the braise. Viv went for the Brisket Dan Dan Noodles that sported a thin peanutty broth. It had a vinegary hit to it as well as a mild spice. I would say that it wasn't really that impactful where it needed a bit more of everything. As for the noodles, they were slippery and not overdone. On the side, we got an order of the Sliced Braised Beef Shank and it was served neatly arranged on the plate. It was sliced thin enough that it was meaty and tender. There was no absence of flavour from the usual 5-spice and sweetened soy braising liquid. The Fried Pork Chop (Rib on the menu) was another solid side where it crispy and hot while easy on the grease. 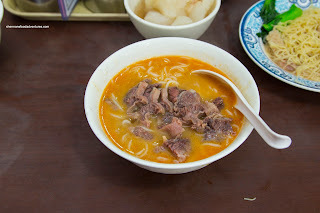 The meat was completely tender and juicy with a good rebound texture. There was also a sufficient amount of seasoning as well. 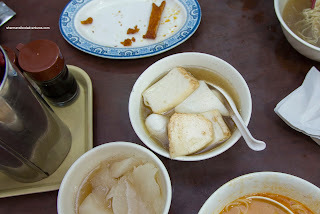 We were treated to an order of the Fish Balls (and sliced fish cake) by the owner and they were really good. Lightly sweet with an airy bounce, the texture was very appealing. 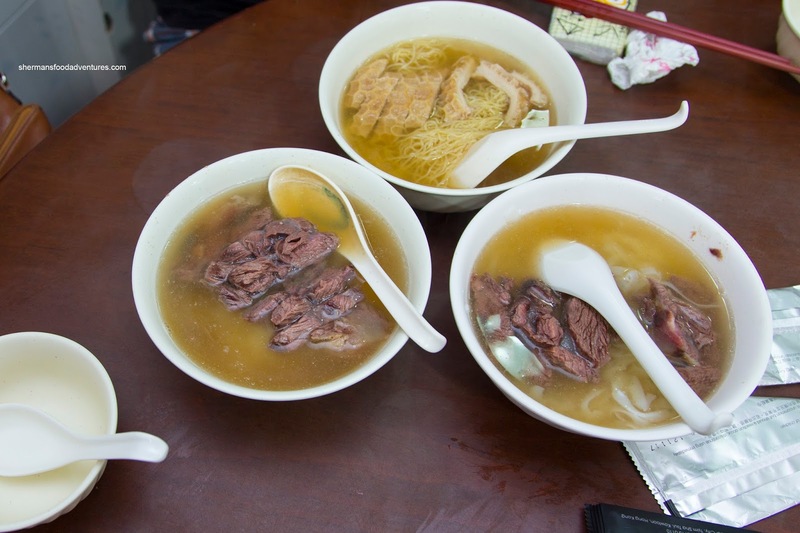 In general, we enjoyed most things we tried and wouldn't hesitate to eat it again when in Hong Kong. I was in Vancouver last week reading your blog for any good restaurants in Vancouver and just back in HK 2 days ago. Realize that you are in Hong Kong now from the blog . May be I can give you some info in return. Sister Wah is a so so brisket noodle shop ( not bad but not outstanding ). 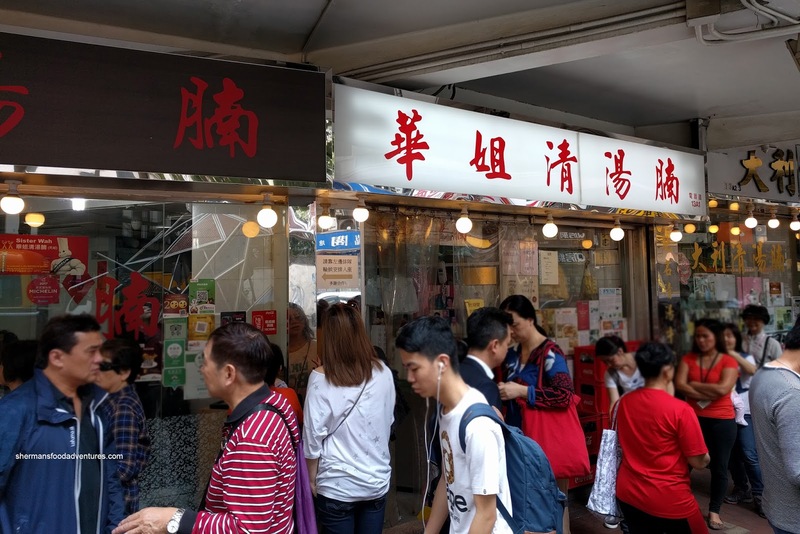 One of the best brisket noodle shops is 群记 in Taipo， which is located at the same square as 一乐烧 BBQ Goose. 群记 is very good( I would rank it as top 1 or top 2 in Hong Kong for 清汤腩 } which opens at 1pm and finish around 6 or 7pm when they sell out all their food that day. 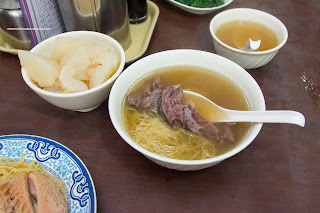 一乐烧 is very famous but it can be hit or miss sometimes.